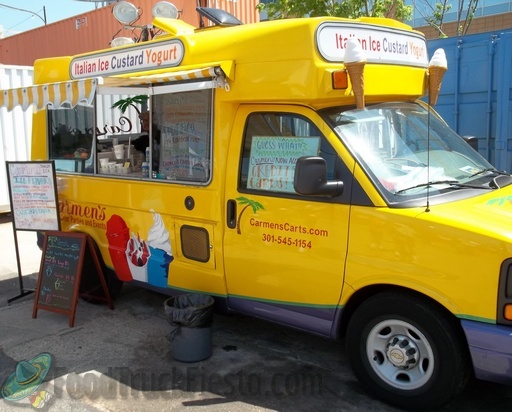 If you've experienced Italian Ice, then you'll understand when I tell you that this Ice was flavorful and firm without being watery, like others I've experience here. The price was more than what I've paid for in at other locations, but hey... 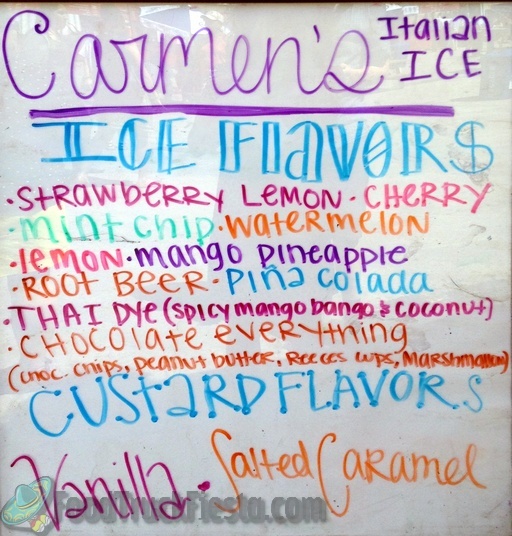 This is D.C. All in all the cool refreshing taste will make you come back for more. 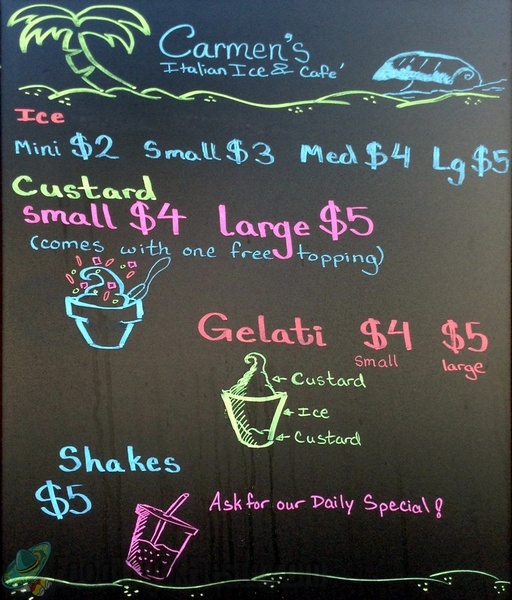 Carmen’s offers homemade, all natural, gourmet Italian Ice in over fifty flavors and has a store at 1115 Nelson St., Rockville, MD.